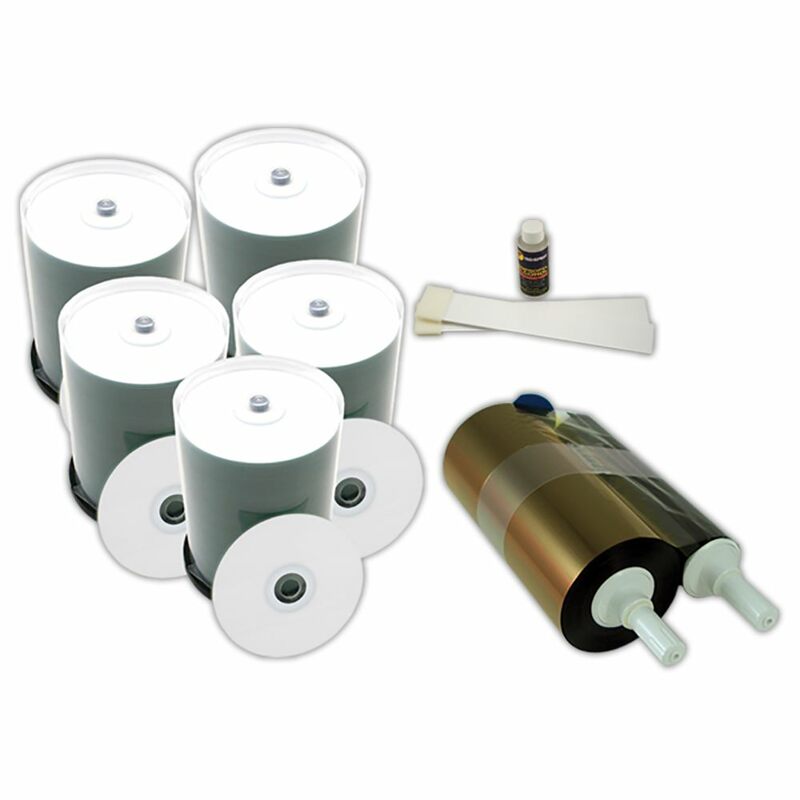 Stock up easily on supplies and extra materials for your thermal printer with USDM’s P-55 CD Media kit. This is the most comprehensive, lowest cost solution to resupplying your TEAC P-55 thermal printer. It includes 500 TEAC P-55 compatible CD-R, 1 P-55 photo ribbon set, and a printer cleaning kit. Keep all portions of your printer clean and in good working condition to ensure a long, uninterrupted printing life span! The USDM Teac P-55 media kits is an easy way to reorder the necessary supplies to run your Teac P-55 printer. The kit includes specialized CD-R media that is designed to yield the best prints possible. The CDs are high grade allowing for superior recording and storage life. The cleaning kit included allows you to take good care of your investment by making sure the rollers and print head are clean and free of residue.